Lilly Pulitzer “Kenlyn” pant with DOW XLA premium stretch fiber: For Spring, Lilly Pulitzer continues to offer an irresistible combination of comfort and fit in their stylish Kenlyn stretch sateen wide leg pant using DOW XLA premium stretch fiber. XLA fiber blends seamlessly into the fabric without compromising the rich sateen touch of the garment and gives these pants a superior fit that hold their shape longer. No washer or dryer at your vacation spot, no problems, these pants will keep their shape longer between washes and wears so you look pulled-together no matter what. 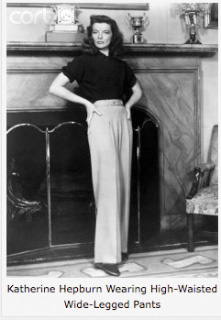 There are certain moments (picture Katherine Hepburn iconic style) that call for the old-school glamour of the tailored crisp wide leg pant and the Kenlyn also makes your waist look teeeeny-tiny. 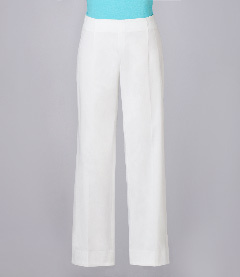 Available in classic white, these Lilly pants will become a staple in your wardrobe for any occasion. Available at www.lillypulitzer.com for $138.